We love to teach kids in our community, and we love to share these activities and lessons with you, so you can pass on the knowledge in your own community. That’s why we have compiled all our lesson plans and activities into one post! These lessons are short, fun, and easy to execute without expensive supplies or planning. We designed each activity to help kids (and adults) learn about the importance of fruits, vegetables and balanced eating. Browse our list, click the links to see full descriptions, and try one or two of these activities in your office, your house, and your kids’ classrooms. Ready? Here we go! Story-based Nutrition. Teach balanced eating through books, discussions, and classroom cooking with this five-day lesson plan for grades K-2. Red Light/Green Light. Use this tool at home to help younger kids make choices about food. Eat the Rainbow. Use the colors of the rainbow to shape your meal plan and encourage your kids to branch out. 8 MyPlate Activities. Use these activities and food tastings in a K-2nd grade classroom to enhance lessons about balance and the MyPlate. Roll the Dice. Build a giant colorful dice to spark conversations about a rainbow of foods. ABC Vitamins. Teach kids about vitamins in food, and use science to show vitamins in action. Advertise a Whole Grain. Provide supplies for kids to craft their own poster about a whole grain they like to eat, or one they have never tried. Sugar demo. Ask kids to compare grams of sugar in packaged foods that look the same on the outside, but are not the same on the inside. Complex Carbohydrate Craft. Build model molecules out of construction paper to teach the difference between simple and complex carbohydrates. 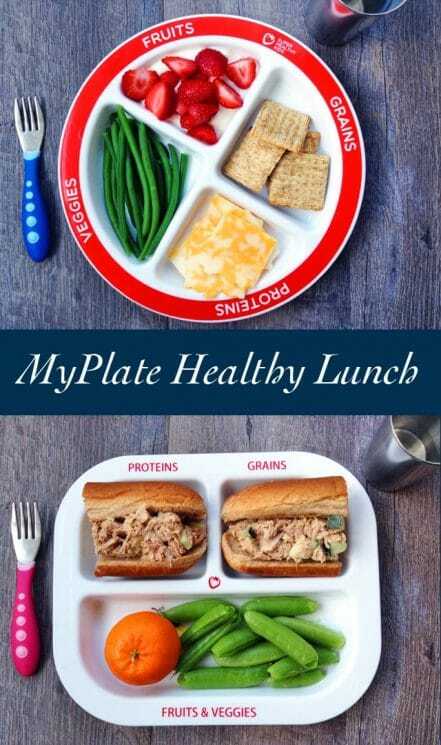 MyPlate Printable. Stick this comprehensive list of foods on the refrigerator to get kids involved in planning healthful meals. Nutrition History Powerpoint. See the vintage visuals of the USDA’s icons throughout history. Fun, Fit and Healthy. Teach nutrition basics to high schoolers with this 26-page presentation. Healthy Valentine Party. Host a heart-healthy Valentine’s party with games, snacks and crafts. Healthy Habits Raffle. Create a jar and add tickets for every healthy behavior. Then draw a winner! Keep a Food Journal. Teach kids about balanced eating with a journaling exercise. Choose MyPlate. 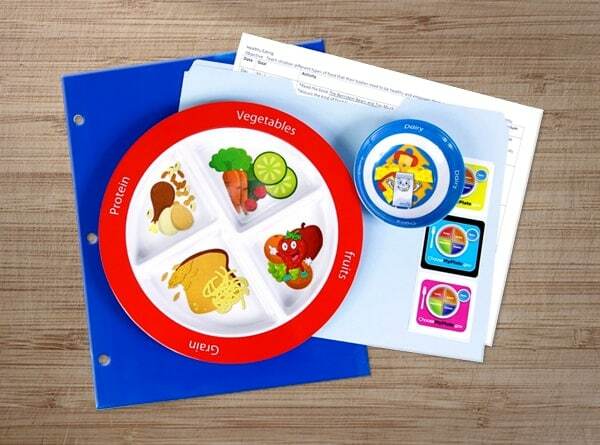 Encourage kids to build their own meals and snacks using the visual guide provided by the MyPlate and Healthy Habits Plate. We hope you found some useful exercises and activities to use with the kids in your community here. Looking for PE lesson plans? Check out this resource. What are your favorite ways to teach nutrition? How fun! It’s great to teach kids about health while they’re young. Does your company work with elementary schools to improve the quality and choices provided in school lunch? Hi Tiffani, right now we only work with local schools (mostly cause our kids are in them!) Hopefully soon we can branch out! I’m in Davis County, Utah so please let me know when you branch out to this area or how I can get involved in making some changes myself. Hi, yes brother there are sure many blogging blogs Tools For Teaching | All Content, except I advise you to use Google free of charge blogging services. Shipping is done directly to your address by the online pharmacy you choose. a secure server. Taking drugs without any physical check up can be harmful to your health and may even cause death. lakes, rivers, reservoirs and streams throughout the world. ?nd a scent that resembles t?e flavor of tobacco is released. quit smoking cartridge thhat ?s 0% nicotine. Ot?er countries such a? Austria and Malaysia c?nsider t?em t? be medical devices ?nd can be sold o?e?-the-counter. Thank you so much for publishing and making this accessible!!! I’m teaching my first lesson in a preschool next week as a family nutrition coach and love your ideas!!! Hi there, thanks for reaching out, and I’m glad our articles are helping you. We also like https://www.produceforkids.com/ which has a similar mission to Super Healthy Kids.